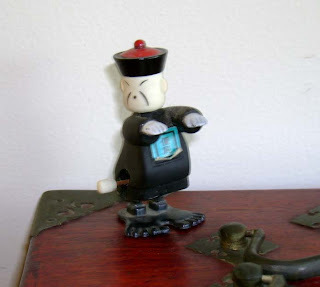 Now, I'm not using the term "chinaman" because that's how I would refer to a person of Chinese ancestry - it's just the obvious choice given what this item is. It joins the ranks of the windup nun, boxing rabbi and windup lederhosen and all the other toys available through the Archie McPhee website. You won't find mine there, so don't bother looking.